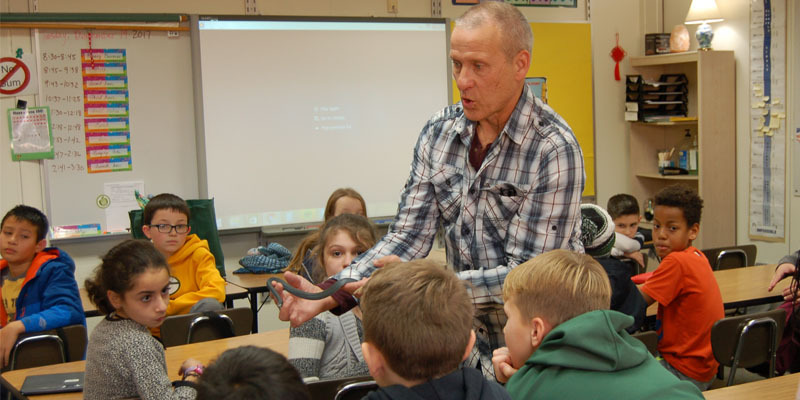 Kinawa students had an up-close and personal experience with Michigan snakes in David Pruden’s Outdoor exploratory class. 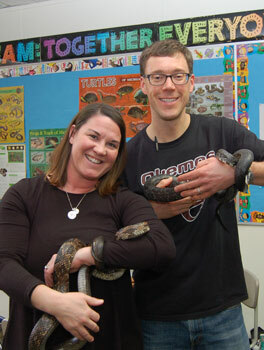 Jim McGrath from Nature Discovery in Williamston brought several species of native snakes. He talked about their life cycle and impact on the ecosystem, while also sharing interesting snake facts and dispelling common myths. 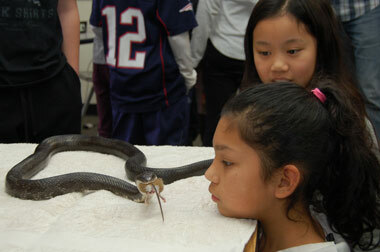 Students had the chance to ask questions, touch the snakes, and watch one enjoy a small snack. Learn more about Jim McGrath, the nature instruction he offers in our community, and information about Michigan-native species on his website www.naturediscovery.net. Funding for this presentation was provided by a 2017 OEF Micro Grant.